I grew up in Oklahoma and attended Oklahoma Christian University. Right after earning my degree in Music Education I moved to Germany to do mission work for 5 years. During those 5 years, I married my husband and we eventually became parents to our spunky daughter! We settled back in Oklahoma and added an energetic son to our family! I am now a stay-at-home mom who is still very passionate about mission work, Germany, singing, family, and most of all, my relationship with God. As a mother, wife and human being living in this world, there are not many days that pass by that I don’t constantly over-analyze what I said, what I did, my parenting choices or any aspect of my life. Many times my thoughts go negative and I believe that I’m doing it all wrong. It’s so easy to feel that way. There are a plethora of books, blogs and opinions being shared about how to do everything under the sun. Social media sets us up for failure while comparing our life and decisions to all the “social media perfect” lives out there. Why do we allow ourselves to feel like failures, even when we know in our hearts we are doing the best we can and we really care for our families? Well, the easiest explanation for that is that fear is a liar. Fear creeps into our hearts and minds and tries to tell us that we aren’t living up to the standards the world thinks we should. 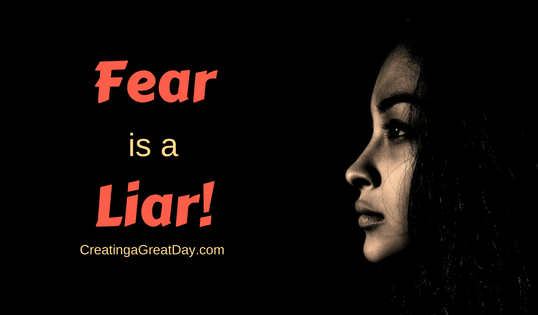 Fear tells us we are failing in every way and in every aspect of our lives. 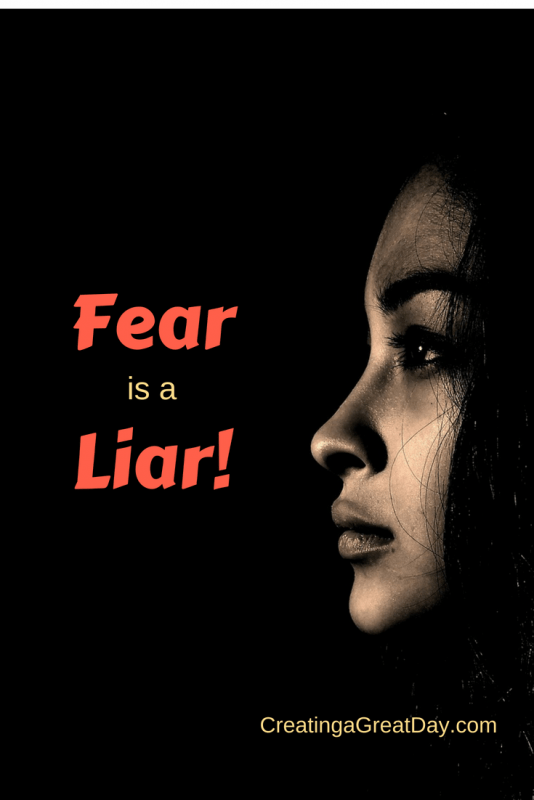 Fear takes over our thoughts and feeds us lie after lie and makes us believe we will never be successful, we will mess up our children and our own lives. The song, Fear Is a Liar, by Zach Williams talks about this topic and reminds us that fear only lies to us and takes away peace from us. I hope this is a good reminder for you, as it is to me, that God is the one who speaks truth and gives us grace to overcome our failures. Praise the Lord! Thank you so much for your grace and your love that gives us peace and tells us the truth, that in You we can be saved and all our failures are wiped away. Thank you for helping us to fight against fear and Satan, who puts that fear in our minds. We ask that you continue to protect us against the evil one who tries to rob us of the peace you freely give us. May we always lean on you and accept your peace and strength to get us through all of life’s difficult decisions. We love you and we are so thankful for you. Without you, we would be nothing. It’s in Jesus’ name I pray, Amen. 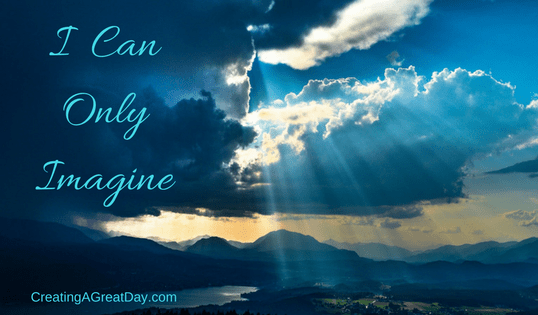 I Can Only Imagine: What Will Heaven Be Like? Some songs touch us more than others. For me, one of those songs is “I Can Only Imagine.” I cannot listen to it without tearing up. Although I do not remember when I first heard it, I do remember when it first touched me. The church I attended was doing a walk-through drama. I guided people through each scene. The last scene depicted “heaven” and “I Can Only Imagine” was playing in the background as “Jesus” spoke to each of us. This was so powerful and tears streamed down my face. We all try to imagine what heaven will be like. The Bible is filled with references of it…streets of gold, walls adorned with precious stones, gates of pearls. Even with the description, I do not think we can fully comprehend what it will be like. I believe it is beyond our mere mortal comprehension. All we can do is imagine what it will be like. Recently, I took my children to see the movie I Can Only Imagine. 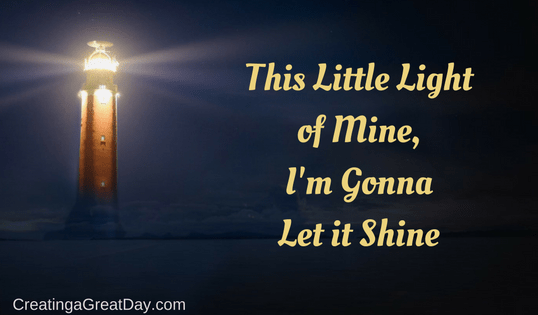 While I knew the basics of the story behind the song–the writer and lead singer of Mercy Me, Bart Milliard, wrote it due to an event in his life–I wanted to know more. So that I do not spoil the movie for anyone, I will not go into detail about the event. When we went to see the movie, I really did not know what was in store for me. It is labeled as a movie about redemption, but it was not what I expected–it is about so much more. This powerful movie is based on Bart Milliard’s life starting at a very early age all the way up to when the song was released. He went through so much throughout his childhood and so much of the movie is just heartbreaking. The movie is very touching, and luckily, I took tissues with me (a friend warned me, and like I said, just the song itself makes me cry). As a side note: The movie was very well-made, felt like a high-budget film, and had incredible acting. It is a must-see for everyone. We each have our own story. That story, good or bad, is what makes us who we are. It is what forms us, how we react to traumas and celebrations. We can push people away and hide within ourselves. Or, we can turn to God to get us through these things. We all try to imagine what heaven is like. We will never realize its true magnificence until we get there. Can you imagine what heaven is like? Do you remember when you decided to follow Christ? Do you remember what feelings overcame you? Were you just in awe that Christ would actually die for you and take away all the wrong things you have ever done? Did you feel unworthy but at the same time overjoyed that Jesus died just to forgive you? When did that realization happen for you? Do you remember the events that led up to it or the time and the place? What brought you to the point of surrendering your life to Christ? Maybe, you truly surrendered when you came back to Christ? Sometimes, our faith journeys are initially like a yo-yo – close to Jesus and then far away. But then He does something to bring us back to Him. Our hearts begin to understand more than before what it means for Him to love us and for us to love Him back. Sometimes, this is just us maturing in our faith and our hearts growing more in love with Him day by day. Other times, it literally takes us turning back to Christ after going away. Either way, it brings us new life in a way that we have never known. It’s exciting to see that we are never more than one step away from Christ. We can turn our lives around at any moment. Jesus is always there to call us back home, even if we go astray for a while. There is nothing more joyous for Him than for those he loves (and he loves everyone) to come home to him. 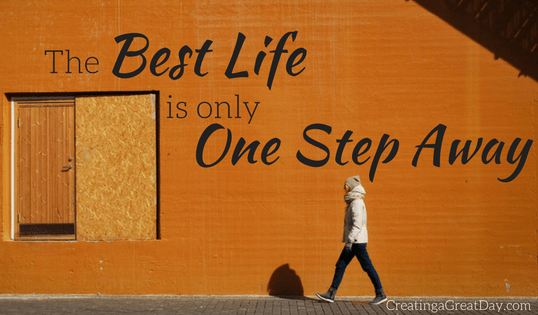 When I hear Casting Crown’s song, “One Step Away,” I can’t help but praise God and thank him for letting us walk away from our shame and enjoy the name Child of God, Redeemed by His son! What about you? The great news is that this isn’t just for us…IT IS FOR EVERYONE! 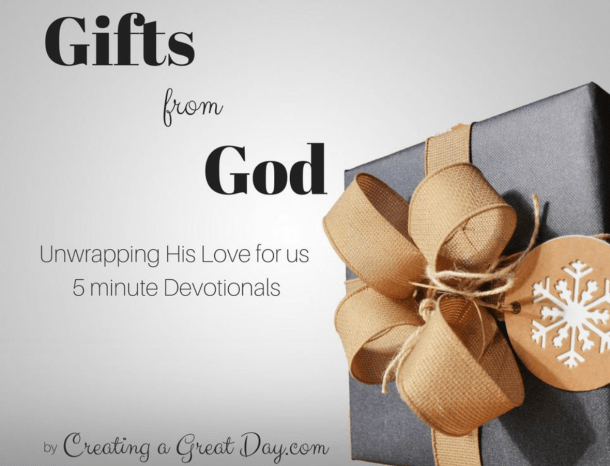 God’s most amazing gift is being able to wipe away all the shame that the devil tries to pile on us, so that we can see Christ’s outstretched arm calling us to a life filled with mercy, grace, love, redemption, and ultimate forgiveness. We are never far from God’s love and forgiveness no matter how much the devil tries to convince us otherwise. The devil wants us to believe that we don’t deserve God’s forgiveness and because of what we’ve done, we will have destroyed any hope of forgiveness. But Christ proves that is simply not true. God has given us such an amazing gift in Jesus Christ and we want to rekindle the excitement in sharing the good news with others by sharing testimonies as to how He brought people to Him. Now, the word testimony might make you shy away but in truth all it’s about is sharing your story. How God worked in your life or is working in your life now to continue to bring you to Him and grow your faith. 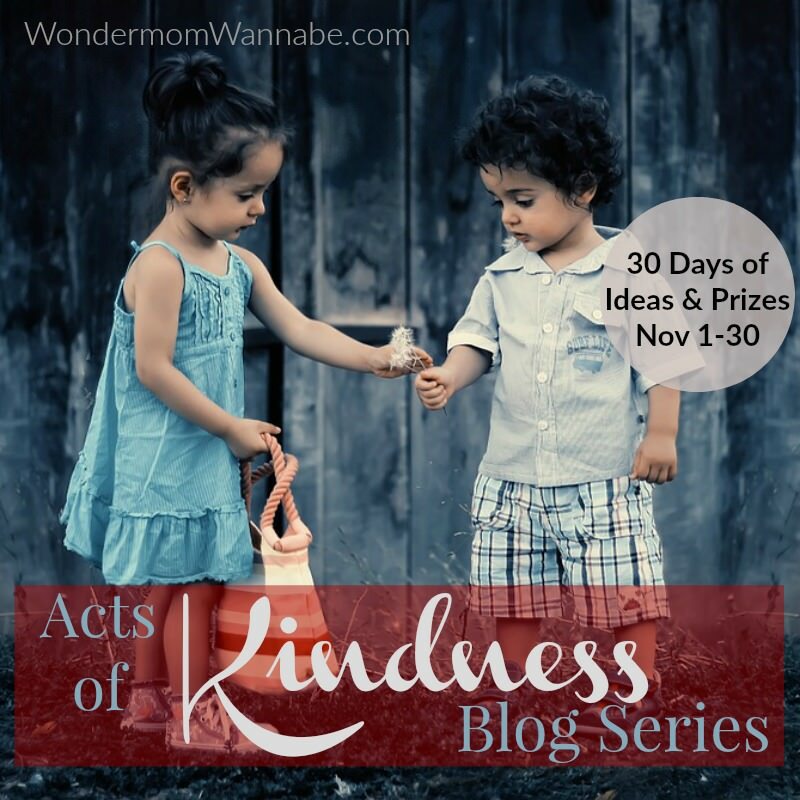 In sharing these stories with others we not only glorify God and all that He is doing but we encourage others in their faith and even plant seeds of faith where none might currently exist. So will you share your story? Share it personally with someone today, this week, this month! Every time you share how God is working in your life with others, you will get excited and be reminded of just how amazing our Lord and Savior is. Encourage someone to step towards Christ! I’m Lana, a native Oklahoman. Married 17 years to the first boy I ever dated. Mama to two amazing, darling girls. I’m a coffee-drinking, book-reading, home-educating night owl! An accountant in my life B.C. (Before Children), my dream job would be getting paid to read all day.And if you’re into Meyers-Briggs personality tests, I’m an ISTJ. Most important of all, I’m a follower of Christ. Don’t you wonder what Joseph thought when Mary told him she was going to have a baby? I can just imagine his shock at the news. I’ve always thought he must have been hurt and disappointed at first, maybe even angry. Matthew tells us that Joseph’s first reaction was to divorce Mary quietly. If Joseph had divorced Mary, how drastically different the story of Jesus would be! 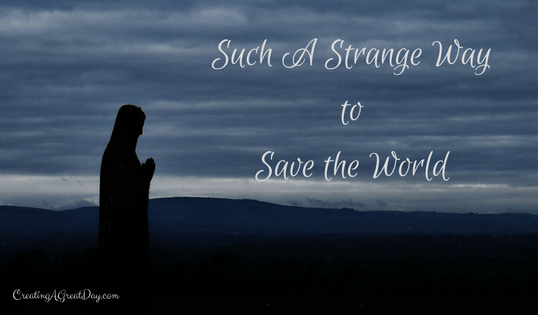 Once he accepted the news as God’s plan for a Savior, don’t you think he must have thought it was a strange way to save the world? Fortunately for us and for the rest of the world, the Bible tells us that “while Joseph considered these things, an angel of the Lord appeared to him in a dream” and gave him the rest of the story, so to speak. Aren’t you glad Joseph followed the angel’s instructions and married Mary despite his first doubts? Have you ever considered that Mary might have had doubts about what the angel told her as well? 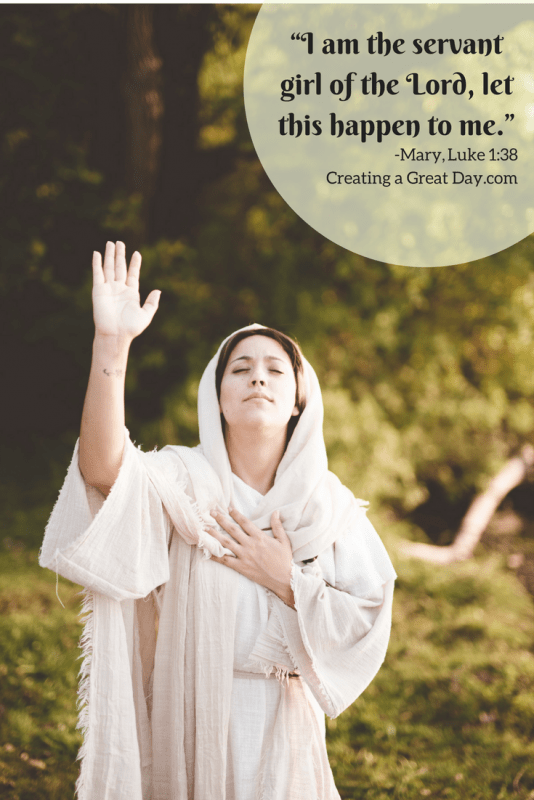 Luke 1 says that Mary was greatly troubled at the angel’s greeting. And although she had questions for the messenger, she seemed to quickly accept what he told her. Knowing our human penchant for questioning and doubting is one of the reasons I like this song so well. If I were Mary, I don’t know that I could have accepted the angel’s message as easily as she seemed to. But it seems to be part of her personality to reflect and carefully consider everything she observed concerning her son who would be the Messiah. (Luke 2:19; Luke 2:51). May we all have a simple faith and an obedient trust like Mary did! 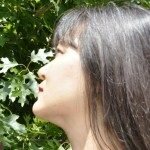 Am I willing to be a servant girl of the Lord? 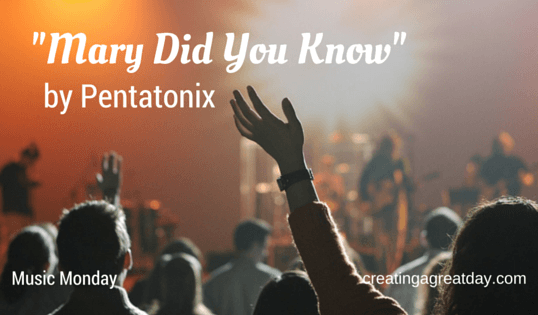 We’ve shared this version of “Mary Did you Know?” by Pentatonix before. Not only is it beautiful, but it really seems to let this idea echo off our hearts. Did you know that God would call you for this? Are you ready and willing to trust Him so completely that at a moment’s notice you will accept a complete life change? Are you ready to possibly be shunned by your family, friends, and/or society because of how God will work through you? 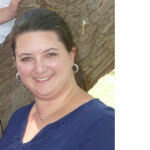 Are you ready to be the “servant girl” of the Lord, no matter the cost? Are you ready to love so completely and trust that God will carry your broken heart? If you knew all these things would happen, would you still choose to follow God’s calling? Lord, you are awesome and holy and your ways are beyond our imagination. You have created the world, conquered the hold death had over us, and brought about a total and complete hope into our lives! Help us to trust you like Mary did. Help us to readily trust and obey your calling in our lives and to trust that you will walk with us every step of the path you call us to walk. When things get tough, help us to hold firm in our faith and not doubt your truth. In the One who knew what it would mean to leave heaven, walk this Earth, and save us from our sins – Amen! Do you ever hear songs on the radio but you do not actually listen to them? I do it all the time. I hear the music but I do not pay much attention to the words. Recently, I was listening to the radio while driving and “Start a Fire” by Unspoken came on. As I began singing along, the words just hit me. Fan the flame and make it grow. So there’s no doubt or denying. That it’s You, that it’s You that we need. Start a fire in me. When did we lose our fire? These songs have the same basic message, so we have learned this from an early age. Is our light shining? Do we share the love of God with people who come across our path? What does this look like? 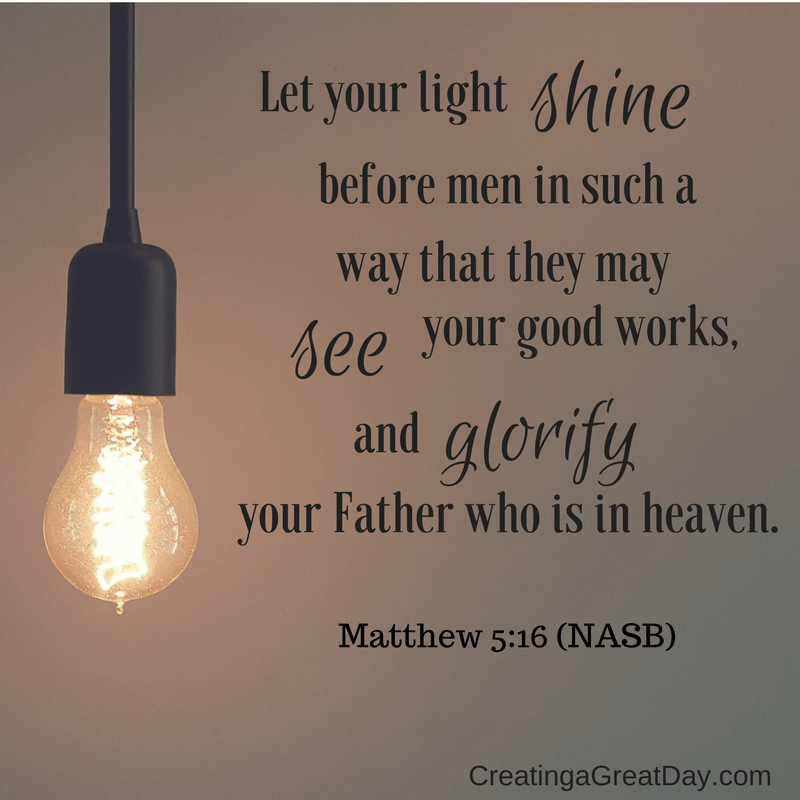 Shining your light can look like kind words or actions to people we know or people we do not know. Encourage those who are having difficulties. Mow a neighbor’s lawn. Babysit for a friend. Of course, these do not have to be overtly “Christian” acts. We shine our light by words and deeds. 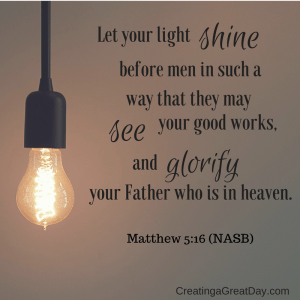 We should be asking God to put in us a fire burns so brightly that our light shines for all to see.